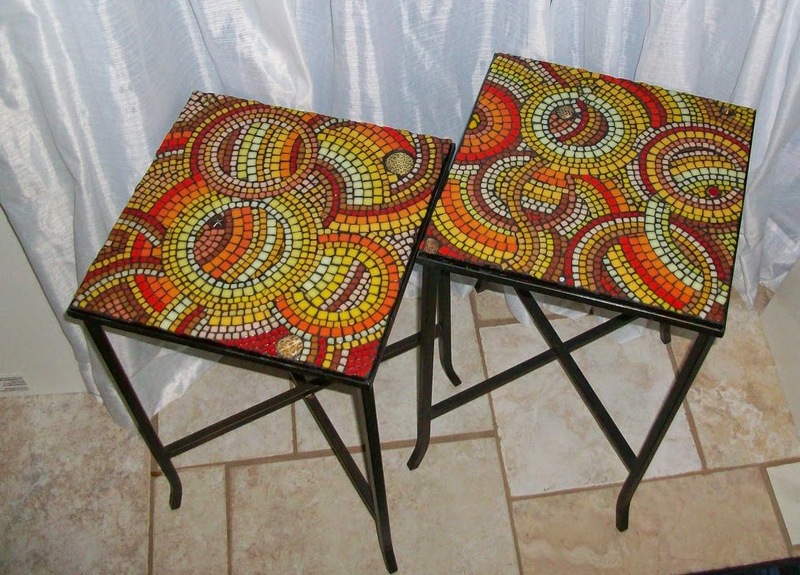 And here they are, the finished side tables, grouted and fitted into their wrought iron bases. I had a hard time choosing the grout color. Usually I know from the get-go what the grout color should be, but in this case I did not know whether I wanted black or brown. But in the end, if I had used brown, I would have had to paint the iron stands brown, and laziness — meaning I wanted to just get them done! — won out.